Katie Thiel, along with Jackie LaLanne, is an art teacher at Edna Maguire and Old Mill School. 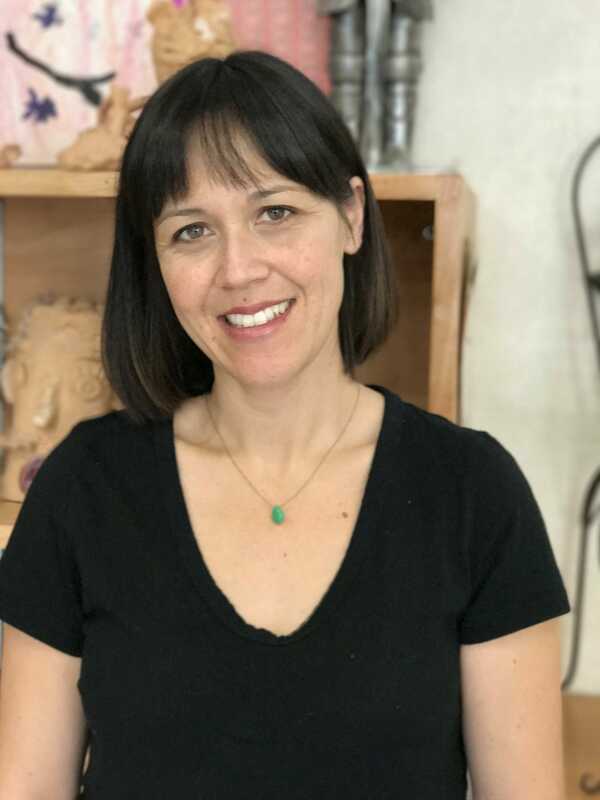 Thiel – who has a bachelor’s of art in art from the University of California, Santa Cruz – brings a great love of mixed media to her teaching, and says she is most interested in combining collage, paint and pastel to create texture. Her greatest love in terms of teaching, however, is printmaking, and she loves the element of surprise when pulling a print. “Kids think it’s magical,” she says. Thiel knew early on she would gravitate toward teaching the arts, and to teaching the arts to children, specifically. “Art is important for kids to experience because they are encouraged to look closely at the world around them, think differently, solve problems in their own way, and to express themselves,” she says. Born and raised in San Francisco, Thiel keeps herself busy during her non-teaching hours by helping her husband care for their 4-year-old twin boys and their chocolate Labrador retriever.